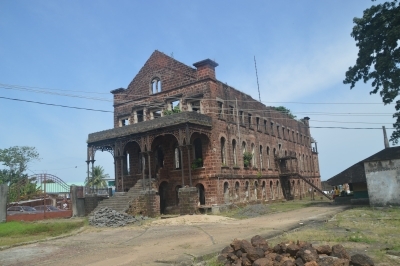 Old Fourah Bay College Building is part of the Tentative list of Sierra Leone in order to qualify for inclusion in the World Heritage List. In November 2018, I visited Freetown, the capital of Sierra Leone, which as its name might reveal was established in the eighteenth century as a settlement for freed slaves. By the early nineteenth century Freetown had became a British Crown colony, and I tracked down several of the remaining colonial-era buildings, including the original building at Fourah Bay College, the oldest college in West Africa, just a short walk from the National Railway Museum. I made my arrangement with Bimbola Carrol at VSL Travel.